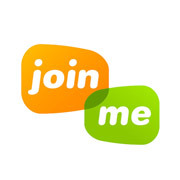 Ready to kick-start your online entrepreneur career? Well you’re certainly headed in the right direction! We get asked quite often what tools we use for various aspects of our business. Quite frankly, it has been pretty inefficient of us to reply to each individual answering the same question over and over again. For this reason, we’ve decided to compile an organized list on what we’ve use on a daily, weekly, monthly, and quarterly basis to start, grow, and run our businesses. Enough fluff, let’s get right into it! If you’re looking for tools to use for certain tasks and don’t want to scroll through all of our tools, use the navigation below to skip to the most useful content. Content Creation – Everything we use to create content for our social media materials. Organizing – Tools we use to make our lives a little easier and running like a well oiled machine. Payments & Finances – What we use to handle our money. Conferencing – Communication is key! Here’s what we use to keep that line open. 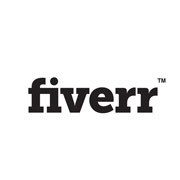 Freelance Services – Where we go to hire freelancers for various tasks. Motivation – Daily motivation is so essential to pushing ourselves to work hard. Ivy: The moment I’ve come up with an idea for the next site, blog, product I’d like to create, I immediately secure my name with this company. 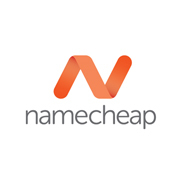 I personally have been using this service for years and have roughly 20 domains registered with them to date. I love how simple their interface is to use and manage my many domains. Checkout is a breeze and prices are reasonable. This is the CMS (Content Management System) that we use to create and manage our sites. If you’re looking to build a blog, it is 100% ideal. If you’re looking to build a community, its 100% ideal. If you’re looking to build a simple 5-10 page site, it is 100% ideal lol… Get the picture? 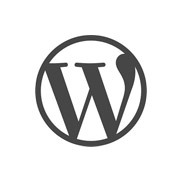 However, we HIGHLY recommend that if you’re going to use wordpress, not to build it from wordpress.com – Siteground for instance gives you the option to pre-install WordPress unto your server during the setup process. 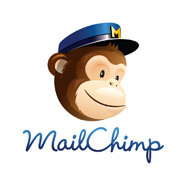 We currently use Mail Chimp for some of our mailing lists. We find the interface to be extremely friendly and easy to use. It is also a definite great mail service to start with if you’re very new to mailing lists as they offer their smallest plan for free. 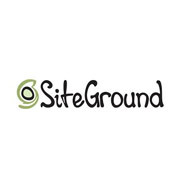 We currently use SiteGround for this site and our other brands as well and have found it to be an absolutely awesome service. Their customer service is A++ and their servers are fully optimized to effectively handle our WordPress sites. 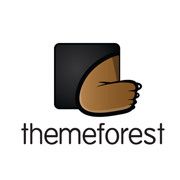 Hands down THE best provider of premium WordPress themes. MHB, Incometips, The Royals Retreat, and What’s Next Guide all currently use premium themes that were purchased from this website. 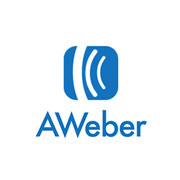 We also use Aweber for some of our mailing lists. No particular reason to be honest, it’s really all a matter of preference and what you plan on doing with the list. 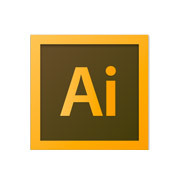 Ivy: This is a great software to use if you would consider yourself somewhat of a drawer. 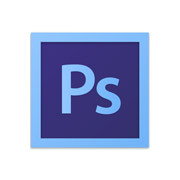 I use this to create simple graphics to use in accessorizing my marketing materials, logos, and posts. Ivy: I get asked all the time what “app” I use to create my Instagram posts… Well ladies and gentlemen, this is it. However, this is certainly no “app”. 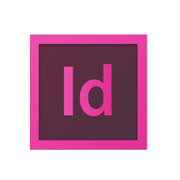 It is a professional design software that can be used to create many, MANY things if you understand how to. I’ve used it to create a myriad of design materials for my clients when I did freelance graphic/webdesign, and still use it today for my own design materials. An amazing resource to find custom typography to add to your content, marketing material, and logos. 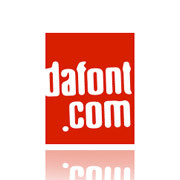 Their are fonts available for free-use, with and without attribution, as well as commercial. Kenneth: I use this tool every time I sit down to write. Just paste your blog post title or email subject line in and voila! 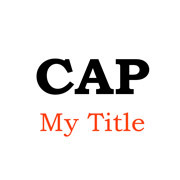 – you’ll have perfectly spelled and capitalized titles every time. Ivy: I currently use this program to create all of my books. The physical copy of Minding Her Business was created using this software and our interactive PDF What’s Next Guide was also designed using this amazing piece of software. It did not take me long to figure out how to use it, but it’s possible that I’m already quite experienced using Adobe products. No… no… this is pretty simple to learn how to use! You just have to understand its purpose and possibilities! This is a GREAT resource to find elements, small graphics, and icons to add to your website and design material. We’ve used this site to create our own infographics by combining various icons. A lot of the icons we’ve used on this site as well as in the What’s Next Guide feature icons from iconfinder. There are graphics available for free, with and without attribution, as well as commercial use. AKA, the lifesaver. 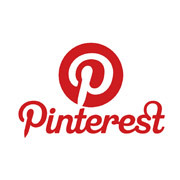 This is a great tool that we use to distribute our social media content through out our other various platforms. Whenever a post is made on Minding Her Business’s Instagram page, it’s then tweeted, posted to tumblr, and uploaded to the MHB fan page. This allows all of my platforms to stay up to date with content and the followers happy. 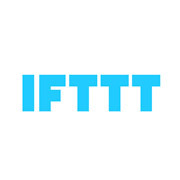 We also use iFTTT for What’s Next Guide and other processes like notifications for when we make a sale. Kenneth: Experts claim that 8 out of 10 people will read the headline of your post, but only 2 out of those 10 will read the rest. That’s depressing when you think about all of the effort we put into creating that content in the first place. 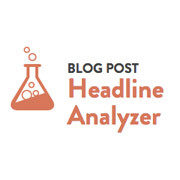 CoSchedule’s free “Headline Analyzer” is the tool I turn to for help. The analyzer grades your headlines and offers valuable feedback – aiding in the development of more effective writing skills. We use this service to share big PSD files, design materials, receipts, and other documents we both need to use in order to collaborate and stay on the “same page”. 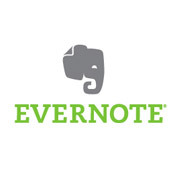 Kenneth: Evernote is an organizational app on steroids. Use it to jot down a quick note, save an audio file, clip an important piece of information from the web, scan a business card, create a to-do list, snap a photo of a business receipt – I mean there isn’t much it can’t do. When you’re ready to retrieve a piece of important information, just use the built-in search feature to locate it instantly. 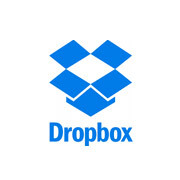 It can even find typed or handwritten text inside of images and documents! 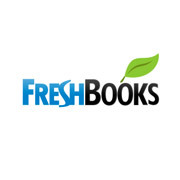 Kenneth: I’ve been using Freshbooks to stay on top of my finances for over two years. I’ve tried quite a few accounting software services, but find this one to be the right balance of powerful-features and simplicity. I use it to track my time, create branded invoices, accept payments online, organize my expenses and create reports for my accountant. If you want to try it out, they offer a 30-day free trial. Ivy: This is a great service that I currently use to distribute my eBook in PDF form. 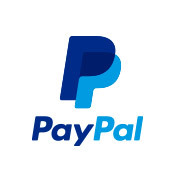 I love that payments are sent instantly to my PayPal the moment a user purchases my book, there is absolutely NO wait time. Their fee is only 5% and nothing else is taken after that. 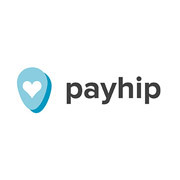 We use this to receive and send money between our bank accounts. It’s also very convenient for paying for online services. Kenneth: Setting your business up properly is important, but it’s also a bit stressful and definitely not fun. If you’re like me, you want to focus on the parts of the business that excite you! 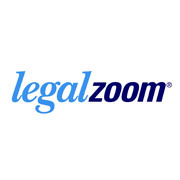 For this reason, I used LegalZoom to set up two of my companies (an LLC and an S-corp). They can help you simplify otherwise complicated legal tasks, providing support when you need it and giving you peace of mind that things have been done correctly. 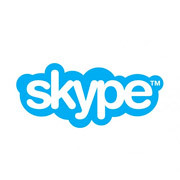 This is a great tool to hop on a call to communicate with your business associates while multi-tasking at your desk. We often use this to screenshare whenever we get stuck with an issue and need a quick walk through. The quality is pretty great and it doesn’t require installation of any heavy software in order to broadcast. This is used by us VERY often to delegate small (and sometimes large) tasks. You’ll be very surprised what you can find here, from content creation, marketing, branding, SEO – anything! Keep in mind that the entry services are essentially $5, but for a little extra $$ you can get way more than the standard gig. 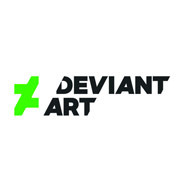 This is a great place to find commission work for professional illustration and some design. I’ve used this site to find an illustrator to do the cover for Minding Her Business. That same illustrator was then used to create the illustrations for our “What’s Next Guide” Characters. You probably wouldn’t have guessed that this is a great tool to use for daily motivation. Having our sites set on where went want to be and what we want to achieve is great mental fuel that inspires us to keep working on our goals. We have a shared board that we’ve used to pin images of awesome places we’d like to visit, images of the $$ of money we’d like to see in our bank account, and goal-oriented words like “debt free”. Kenneth: Momentum is a free Chrome extension that turns your internet browser into a productivity dashboard. It will ask you identify your most important task(s) for the day, help you manage distractions, inspire you with scenic photos and equip you with an endless supply of motivational quotes. It’s been instrumental in my ability to get things done online.